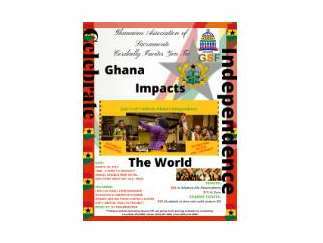 Join the Ghanaian Association of Sacramento in celebrating the 62nd anniversary of Ghana's independence. Enjoy cultural performances, Ghanaian cuisine and show your support for the Ghana-Sacramento Foundation's Mental Health Project! And come prepared to show your best dance moves to music by DJ Kwammaster.